Make your water rides look no less than that of a superhero with the Quadrofoil 2-Person Electric Watercraft. 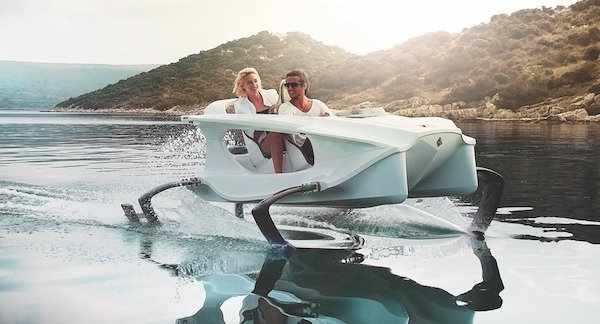 This luxury watercraft features leg-looking foils underneath. As a matter of fact, the luxury details of this eco-friendly watercraft justifies the whooping $28K price tag. The watercraft speeds up to 25 mph and gives a range of 54 nautical miles on a single charge.